Consider this my “text,” Newsboys! I just went to see a wonderful film called “God’s Not Dead.” The story is about a young College Freshman, Josh Wheaton (played by Shane Harper), who is majoring in Pre-law–in other words, he has a lot at stake when it comes to getting good grades. Nonetheless, he finds himself in a class with a staunch atheist teacher, Professor Radisson played by Kevin Sorbo, who wants all of his students on the first day to write “God is dead” on a piece of paper and sign it. Completing that “assignment” is a huge part of the semester grade, and the argumentative Professor won’t accept any alternative views by his students. Josh, a devout Christian, could not deny his faith by writing the words. And so, throwing down the gauntlet to a Freshie whom he was sure he could argue circles around, the atheist Professor gives him 3 20 minute sessions to prove the existence of God. With the students who had all written “God is dead” on their papers as the jury, the Josh takes on the challenge, despite numerous obstacles, including risking his future career and closest relationships. We see other characters in the movie, also modern day Christians, who face difficult challenges to practicing their faith as well. It’s an engaging tale, and very well done. The acting is marvelous. And the ending had me in tears — it was really touching. After the mega-doses of atheism we’ve had to endure in modern entertainment, not just the obvious propaganda, but others — some disguised as science as in the recent tv documentary* “Cosmos,” it’s refreshing to find a movie like this. And it’s even more inspiring that the premise is not based upon some far out theory, but is grounded in experiences by many a Christian and numerous Christian groups who all bravely fight the good fight, finish the race and keep their faith despite it all. Please pray for Pastor Saeed as he undergoes unspeakable hardship and torture in an Iranian prison because he refuses to deny Jesus Christ. So often we think of Martyrs as people who lived in the past — people like St. Stephen, or St. Nicholas who remained in prison for 11 years for refusing to renounce his faith in Jesus Christ, St. Philhomena, St. Maximillian Kolbe, and many others who lived so long ago. But there are those who are tortured and abused just as badly today for refusing to deny their love and faith in Jesus Christ. These modern day martyrs–in China, Bishop Ma Daquin, and now in Iran, Pastor Saeed Abedini, are a shining light in the world’s darkness —- heroes for the Faith. Their hardship only makes their love stronger, their faith greater and the light they shine brighter until it is a beacon for all to see. “The blood of the martyrs is the seed of the church” wrote Tertullian in the 2st Century. That fact has not changed. 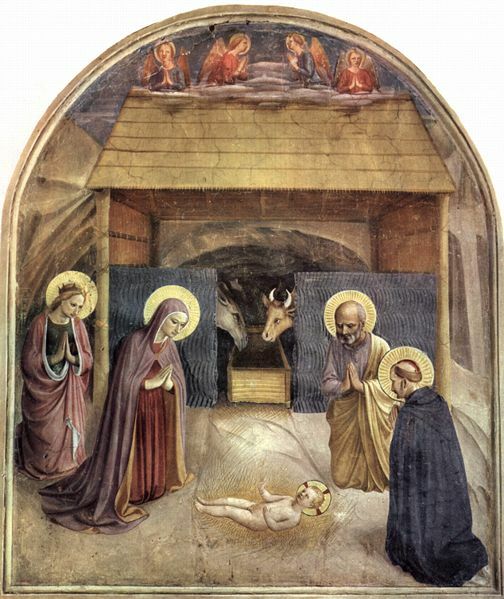 These heroes who suffer for Christ today do great good and convert many to the faith. “..See your golden opportunities in pressures and difficulties….see the Shining Morning Star in the dark times in your life…….Stay strong for His glory! He will come back soon. Be with God and give your best efforts for His kingdom. 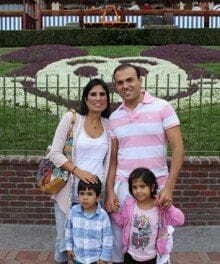 Please then go to ACLJ.org to sign the petition for Pastor Saeed’s release so that he may return home to his beautiful family. God bless you! And God bless Pastor Saeed! Hobby Lobby, a great American Christian business, has been threatened with fines of 1.3 million dollars a day if they do not pay for the abortifacient, the “morning after” pill, via Obama’s HHS Mandate. Essentially, this company is required to choose between following their conscience or keeping their doors open. Please pray for them and for America as they fight this issue in court. Just as they have put their heart and soul into their business, they are not willing to lose their soul to follow this unjust and unconstitutional order. We are at a moment of crisis in this country. America has provided Religious Freedom to all of its citizens for over 200 years. But because of Obama, that may all come to an end very soon. President Obama refuses to respect the religious freedom of American citizens with whom he disagrees. His mandates force them to choose to violate their consciences or to violate an unjust law in the country they love and pay millions of dollars in fines until their businesses are shut down. Our country may soon lose its most precious freedoms. Please pray for America, and please vote for American freedom! Thank God for these faithful Americans! And please pray for America! May God bless America once again!! 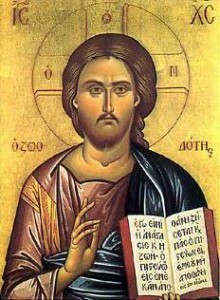 He is now missing and there is fear that he is being harmed or has even been martyred for his Faith! Please pray for him and join the twitter conversation #whereisbishopma? Thank you and may God bless you!!! Please pray with us from now until July 4th! Thank you, and God Bless You!! I saw “For Greater Glory” today, and it was a wonderful movie. Out in theaters now, this beautiful, spectacularly-filmed movie had me moved to tears many times. Based upon a true story, the film highlights the true heroes and tragedies in Mexico’s war for religious freedom in the early 1900. Hurry up and see it — the film may not be out for much longer and it is definitely worth a look. And here are a few more reviews. Go see it and let me know what you think! I have a lovely Kindle Fire and recently discovered a remarkable free “App” called “Laudate.” (See http://www.amazon.com/AJ-Laudate/dp/B005YH5R7A/ref=cm_cr_pr_pb_i/191-4105238-6932448 ). Big surprise. I had always thought of the Catechism as a book of rules, and had never before thought of reading it through like a regular book. To me that would have been as silly as reading the Arizona Revised Statutes from cover to cover. Who wants to read a book of rules? But what a shock! The Catechism is not a book of rules. It is sheer unadulterated absolutely exquisite poetry. It is just beautiful. In fact, I was blown away by its beauty. Why had I never done this before? Why had I never tried? What more could I read on a daily basis that could possibly matter more than the first things that this book talks about? This book holds the key to the meaning of existence — why had I not bothered to look before?